Crystal Republic specializes in customized crystal accessories. 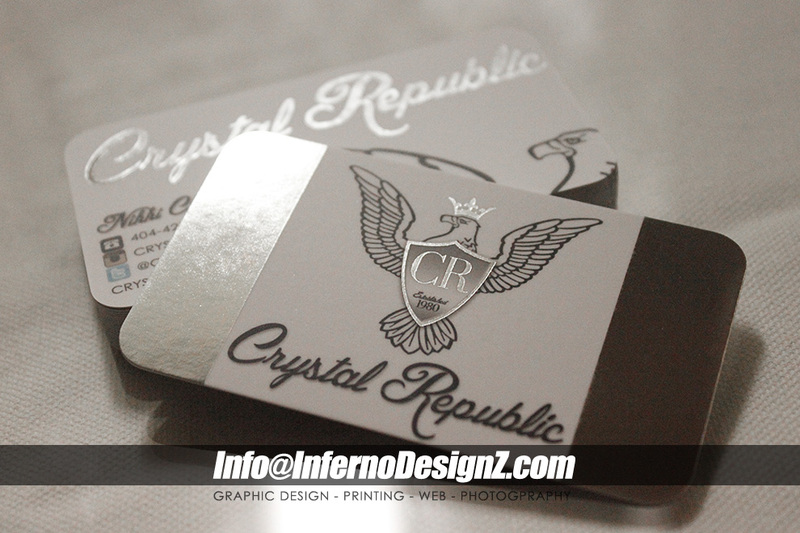 We designed a Silver Foil Stamped, Silk Business Card with Round Corners and a Custom UV Gloss. 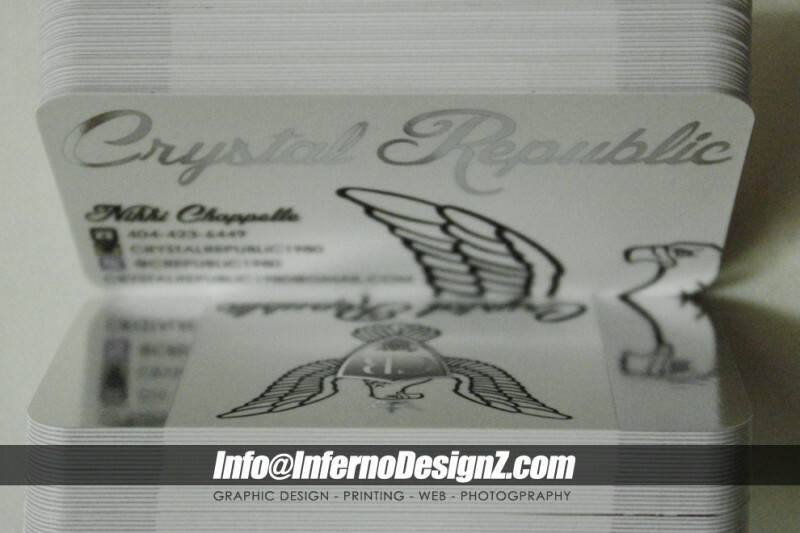 With a mirror like metallic stamp on the front and back of the cards gives a premium feel and look. The logo, inspired by a international flag, was designed to have silver sides and a white strip down the middle displaying the Eagle Logo with Crest. 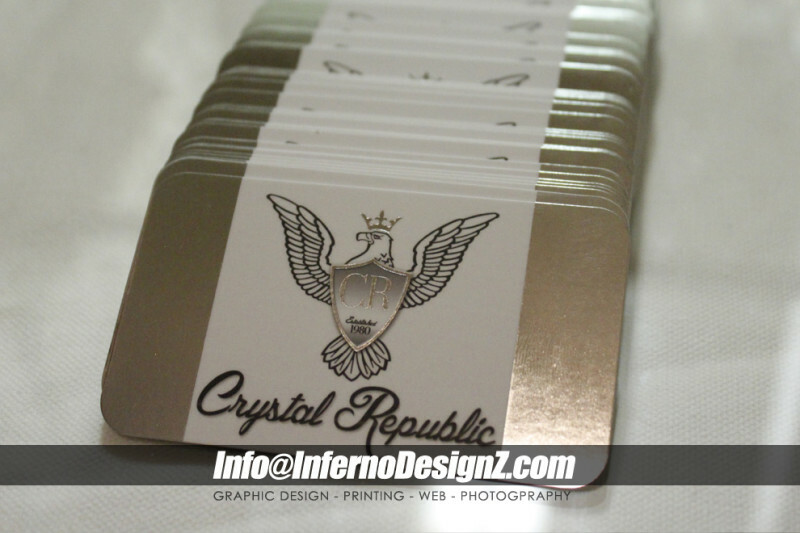 Silver or Gold options available with the Foil Silk Cards, Round Corners and Gloss are optional too.